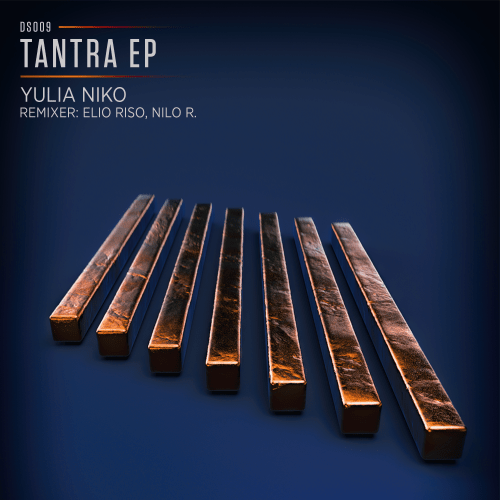 Russia’s Yulia Niko joins ALX’s Descend Records this July with two subtle underground cuts alongside a remix from Spanish producers Elio Riso & NiLO.R. Sochi, Russia, was where Yulia Niko began her career as a DJ, failing in love with electronic music at an early age. Receiving her law degree and moving to Brooklyn, Yulia soon gained a reputation as a DJ, holding residencies in Verboten and Heart Nightclub, whilst as a producer she’s releases on Get Physical, Plant74 and MATTER+, with support from the likes of Carlo Lio, Paco Osuna and Marco Carola. Hypnotic synths kick off the original mix of ‘Tantra’ as off-kilter sirens, angelic bells and a filtered lead unfold before Push Push Music’s Riso and NiLO.R team up for their reworking of the track; utilizing a thumping kick, crisp cymbals and infectious snare rolls whilst resonant vocal chops delay throughout. Rounding it off, ‘Samasa’ sees Niko deliver a rawer sound with a cacophony of percussion and rumbling sub to finish off the package with a dark tone. Yulia Niko’s ‘Tantra’ is out on Descend Records on 29th July 2018.